Thursday, September 13, 2018 • 6:00–10:00 p.m.
Data shows that our climate is changing. Find out how scientists know what they know, learn how to dive into the data for yourself, and consider three artists' responses to our shifting environment. 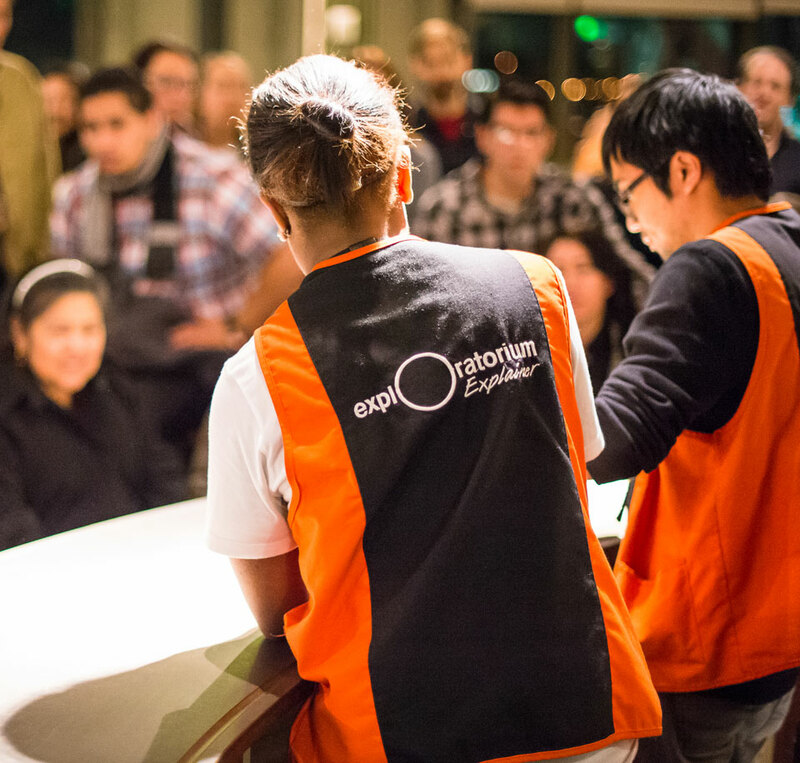 The Exploratorium’s site at Piers 15 and 17 isn’t just a museum campus—it’s also a giant environmental data collector gathering data for use by teachers, students, the public, and the Exploratorium’s own scientists. These sensors monitor the environment long-term to measure both the weather (what it’s like outside now) and the climate (how the weather is changing over time). See the sensors, learn what’s being measured, and learn how to access the data yourself. As our climate changes, will we change, too? Artists Byron Au Yong, Sara Dean, and Rosten Woo discuss art and design as tools—for communicating about climate change, inspiring civic agency, and building resiliency into physical, intellectual, and emotional spaces. The Wired Pier is an array of sensitive instruments around the Exploratorium campus at Piers 15 and 17, measuring and recording conditions in the environment—the weather, Bay water, pollution, and more. Live data appears on the Wired Pier website and in the Fisher Bay Observatory Gallery 6, and is archived so that the Exploratorium’s scientific partners and the public can explore patterns and trends in the atmosphere, oceans, and urban landscape. From the bottom of the ocean to the tops of tall mountains, the Exploratorium has investigated the sites and systems of planet Earth (and beyond!) over the past fifty years—and taken plenty of video. Get glimpses of our dynamic environment, including the inner and outer workings of water, climate, salt pond restoration, the Bay, biofuels, and more, from the deep resource that is the Exploratorium archive of environmental film. There are over 2,000 types of edible insects in the world, which tend to be packed with protein and easier on the environment than raising meat for billions of humans to eat. In fact, more people on Earth already consume insects than speak the English language. Taste a variety of insects in a variety of forms, including Chirps—corn chips made partially with the faint nuttiness and extreme environmental friendliness of cricket flour.